Found my dream car with incredibly low miles and had to act. 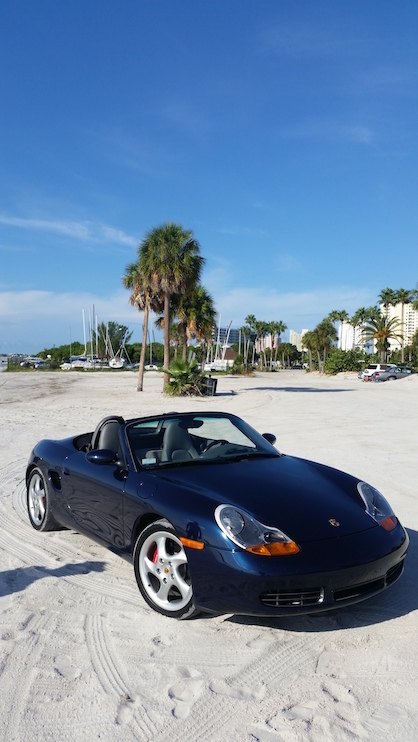 A 2000 Boxster S with 22,300 on the clock. Flew out to see it in person. No surprises, and decided to drive it home. St. Petersburg, Florida to Austin, Texas. Absolutely love the car. Never owned a Porsche. Car has its quirks, looks like this is a great community to find answers! Last edited by 2000Boxster; 08-12-2017 at 08:51 PM. Welcome to the Austin Boxster community! Join PCA -- and google Boxtoberfest. Welcome and congrats. This is a great community that you will enjoy being a part of. I've restored a couple Boxsters, daily drove a 2000 S for 4 years, have a drive to the track 2000 Boxster S and just recently bought a Spec Boxster. That is beautiful. Ocean blue metallic? Welcome to 986 Forum! Don't forget to check out our awesome 986 tech article library (posted below) for any help you may need. I am here if you ever have any parts or forum questions. Enjoy your stay.